Pioneering astronaut and former U.S. Sen. John Glenn died Dec. 8 at Ohio State University’s James Cancer Hospital in Columbus, Ohio. He was 95 years old. The most celebrated of the seven Mercury astronauts, Glenn became the fifth human in space and the first American to orbit the Earth during his flight in Friendship 7 on Feb. 20, 1962. The former U.S. Marine resigned from NASA in 1964 and was elected as a Democratic senator from Ohio in 1974, serving until 1999. Glenn finally returned to space in 1998, flying aboard space shuttle Discovery as a payload specialist and claiming the record as the oldest person ever to fly in space. In 1962, John Glenn wrote a pilot report for Aviation Week after his historic and harrowing flight in Mercury’s Friendship 7. Aviation Week's Senior Space Editor Frank Morring, Jr., discussed the significance in the blog post, originally published on Jan 13, 2016. In the early days of the U.S. human spaceflight program there was a vigorous debate over how much work the first astronauts would do in space. President Dwight Eisenhower decided military test pilots would be the first Americans to rise above the atmosphere, but it wasn’t immediately apparent how valuable their skills would be in that airless realm. Chimpanzees were the initial passengers in NASA’s Mercury capsule, and the proud pilots we know today as the Mercury Seven suffered at the comparison. Chuck Yeager, the granddaddy of test pilots in those days, called them “Spam in a can,” implying that they would be little more than potted meat. The comparison soon faded, once the seven started flying. John Glenn’s three-orbit mission in the capsule dubbed Friendship 7 pretty much shut down the ribbing for good. Those of us who watched Walter Cronkite’s coverage outside the Cape Canaveral blockhouse as Glenn and his ground support wrestled with an indication that the heat shield and landing bag were out of position understood that human skill was the only thing that would save the day. A few weeks later readers of Aviation Week & Space Technology were able to experience the reentry from Glenn’s perspective. In his detailed pilot’s report on the mission, published in the magazine on April 23, 1962, Glenn describes what it was like to watch pieces of flaming debris flashing past his capsule’s window, and wondering if it was part of the heat shield protecting him from incineration. 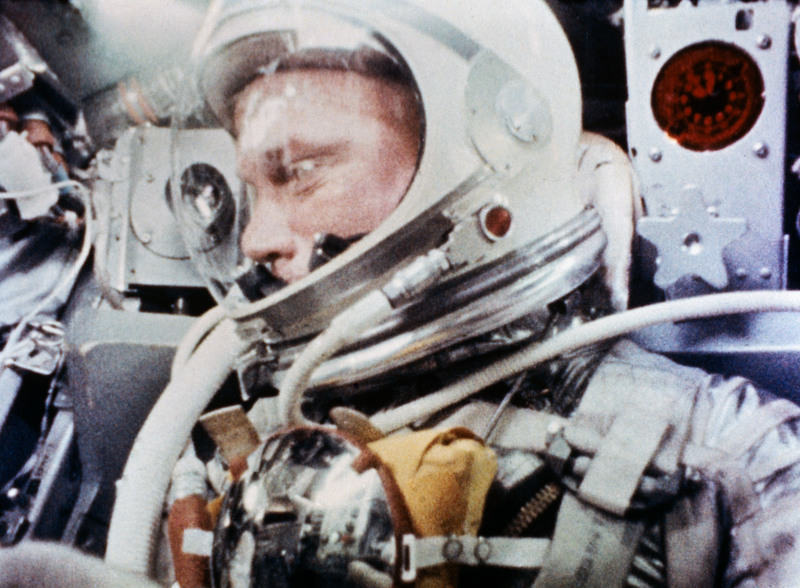 His account of that moment, and of all the events that led up to it, are a clear demonstration that Eisenhower was right in choosing test pilots as astronauts. In addition to the expertise Glenn brought to controlling his spacecraft, his years of experience as a U.S. Marine combat pilot and later as a test pilot at NAS Patuxent River gave him the ability to describe his experience in flight clearly and usefully—“what I heard, saw and felt during the orbital flight,” as he puts it in the report we published. A few years back I had the privilege of hearing Glenn describe his military aviation career in a Lindbergh Lecture at the National Air & Space Museum in Washington. His sometimes harrowing tales, expertly moderated by museum director John R. Dailey, himself a former Marine aviator and senior NASA manager, clearly show where Glenn got what author Tom Wolfe called “the right stuff” for the job as a trailblazing astronaut. Read Glenn's pilot report in the April 23, 1962 issue of Aviation Week & Space Technology. Aviation Week's digital archive is free to access for registered users until December 31, 2016.